Aizu Keizan p ottery. Furthermore, Aizu is one of the b est places to make soba noodles in Japan. “Akabeko” is a lucky charm that represents the crafts of Aizu. 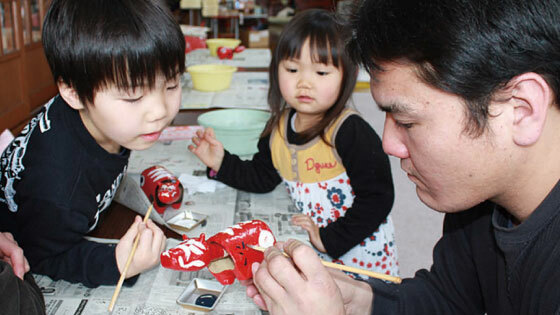 Make your own original “akabeko.” Apply Japanese paper onto a wooden for m and paint “hariko,” papier-mache. A restaurant that serves freshly made buckwheat noodles. 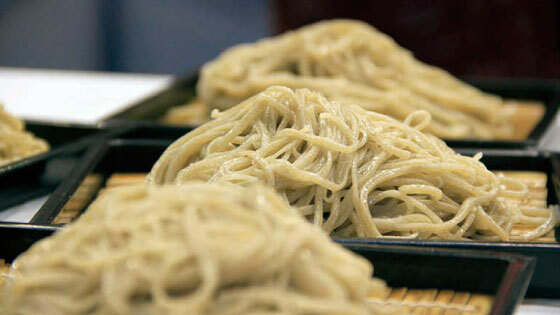 At the “Aizu Soba Juku,” an instructor teach es vi sitors how to make buckwheat noodles. 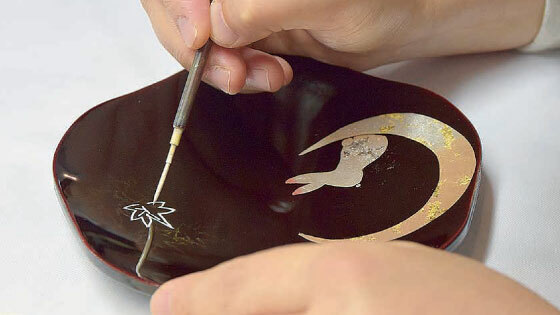 Try making Aizu-lacquering ware, the designated Japanese traditional industrial arts. At the studios in the city, you can see or experience gold l acquering, making wood grain. Skewered food grilled with a sweet soybean paste. This traditional Aizu food used to be eaten at home. People used food such as grilled tofu, mochi, and taro to make dengaku, grilling them over charcoal over a traditional Japanese traditional hearth. 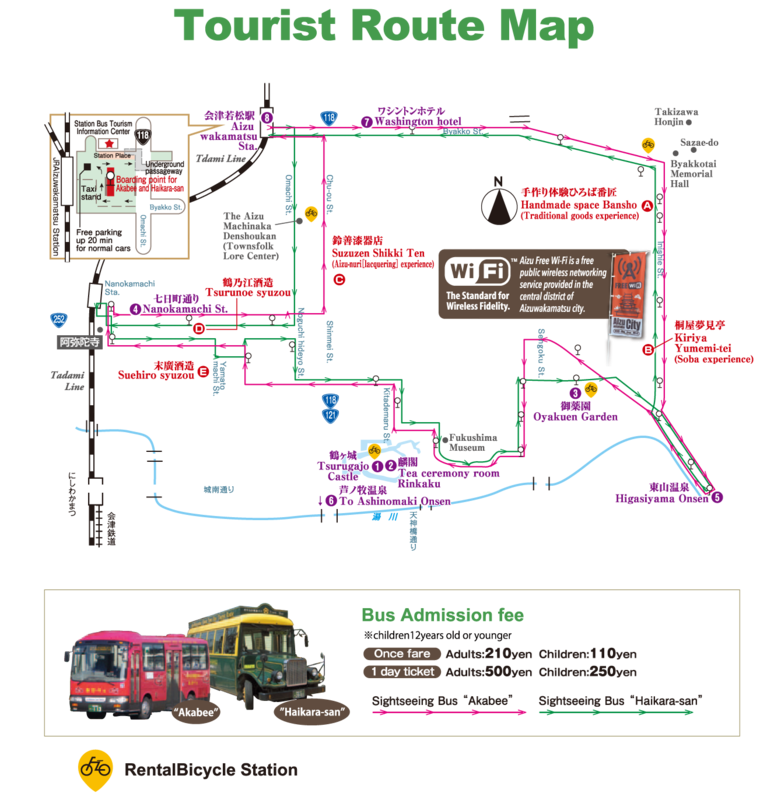 are summarized for access from attractions.By all means, please browse. 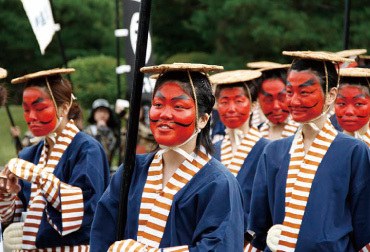 Introducing the annual events of Aizuwakamatsu. 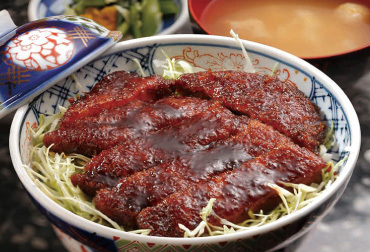 Introducing the food culture of Aizuwakamatsu. 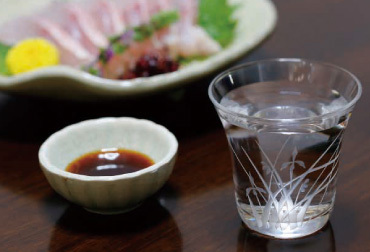 Introducing the sake culture of Aizuwakamatsu.